Dating back until at least the ninth century, Kol Nidre, at first glance, seems to have nothing at all to do with Yom Kippur. Indeed, it appears to attempt to release one from keeping his oaths and vows. Many commentators address this issue and their main approach seems to be that Kol Nidre, in actuality, emphasizes the importance of keeping one’s word and reaffirms our belief of honoring our commitments. How appropiate, as we enter a day when we will be saying over and over how we plan to change and do teshuvah. During the Shema on Yom Kippur, the second line, Baruch Shem Kavod Malchuto LeOlam V’aed, "Blessed is the Name of His Glorious Kingdom for all eternity" is read aloud. Moshe originally heard this line from the angels when he was on Mount Sinai receiving the Torah from G-d. Though normally said quietly, on Yom Kippur it is said out loud. Normally, we dare not utter angelic phrases loudly, but on Yom Kippur, it is as if we are spiritually raised to the level of angels and we say the verse out loud. Confession, is an essential part of repentance. Repentance cannot be just a fleeting thought like other thoughts that come and go in a person’s mind. By confessing one’s sins out loud, it becomes something much more real. A person must come to the complete understanding that the sins he committed are wrong and cannot be rationalized away. 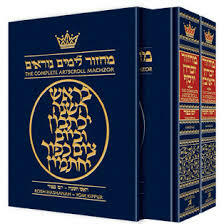 The two forms of confession, Al cheit and Ashamnu, alphabetically list all types of sins. The Al cheit, prayer lists many sins or categories of sins that are commonly committed. Sins are expressed in the plural not only to save individuals from embarrassment but so that the congregation as a whole might attain true atonement. One cannot confess only for oneself, rather one has to beg forgiveness for all Jews who sin. As the Rav Issac Luria, 16th Century Kabbalist, wrote that confession is written in the plural, "We have sinned‘ because all Israel is considered like one body and every person is a limb of that body. So we confess to all the sins of all the parts of our body. If you read the Al cheit carefully, you will see that the list of sins is not a list of the Mitzvot. Rather, it is a list of categories of sins that are the most common. Many relate to our misuse of speech and having the wrong type of thoughts or attitude. Some have to do with more concrete mitzvot like shabbat or Kashrut. All relate to us in way or another. Of course, one should not feel limited to confess only the list of sins printed in the siddur, one should mention viduy any specific sins which he or she may have committed. It is customary to gently beat one’s chest during the viduy, as if to say that your heart may have led you astray in the past but hopefully, this will not happen in the future. The Aron HaKodesh (Holy Ark that contains the congregation's Torah scrolls) is kept open for the entire service. Those able to stand up for the entire time, do so. Selichot (prayers of repentance) are recited and Avinu Malkenu (Our Father Our King) is said even when Yom Kippur falls out on Shabbat.